The PS4 is a really cool piece of machinery. I enjoyed it when I first got it, although now that I’m playing more games on it I’m finding a growing number of reasons to love it. However, it still hasn’t replaced my PS3, and Sony’s latest update for the console seems to be ignoring our demands. The PS4 is getting an update – it now has themes. You know, because people haven’t been asking for increased media support so that they can put a CD into the PS4 or play MP3s or anything. I’m still waiting for the new console to support DLNA so that I can stream my totally legal videos stored on my PC to my big screen TV. 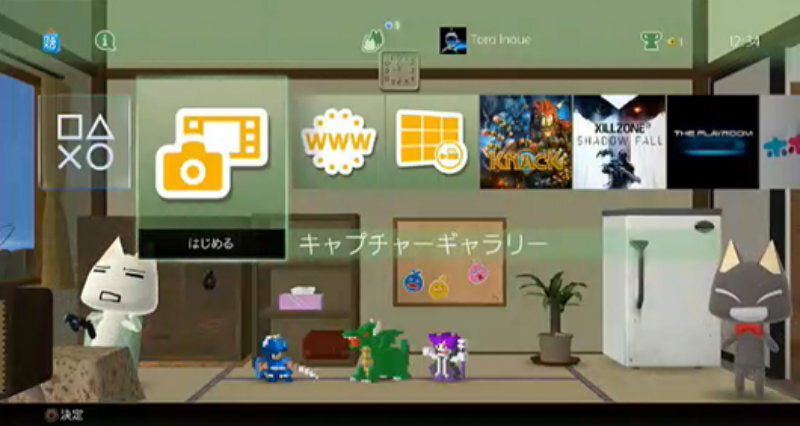 I liked themes on the PS3, but they were pretty low on my priority list. Sure, it was nice to have certain anime or game specific themes, but that didn’t really change my opinion of the console. Meanwhile, the PS4 is rapidly approaching its first birthday and we still don’t know when we can safely pack away the best media centre PS3. Will Sony finally give us what we’ve been waiting for? I understand these next generation consoles are from the future, but it can’t be that hard to sort out the issues with media. Are you excited enough about themes, or is it all just cosmetic fluff to you? What features would you like to see in the next updates? Previous article Surgeon Simulator Anniversary Edition Review – Hi everybody! Next article Dammit, Chloe! 24 may be getting a movie after all!